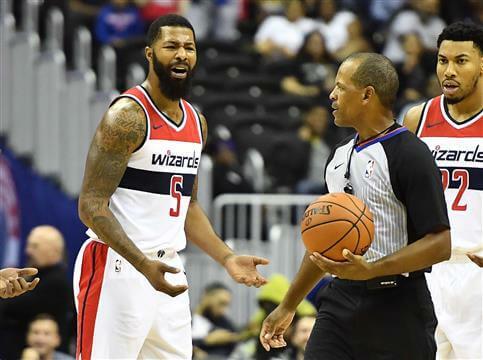 The Houston Rockets could be putting a close eye on free agent Markieff Morrisand his health situation, as a potential candidate to join the team, according to Kelly Iko of The Athletic. Morris, who is dealing with a neck injury, recently sought out a second opinion for it and now expects to be back right after the All-Star Game, according to Candace Buckner of The Washington Post. If healthy, the versatile power forward could prove to be Mike D’Antoni’s dream, a 6-foot-10, 245-pound stretch-four (but don’t call him that, he’s not a fan) — one that could help the Rockets snipe from long-range, while giving them a strong defender with an edge.